The one-letter error printed in a Washington paper turned something seemingly harmless into something quite ghastly. 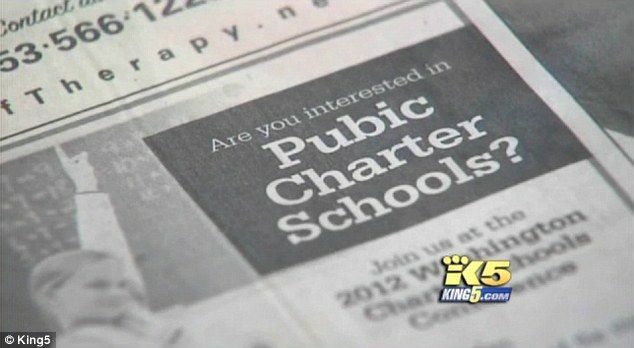 'Are you interested in Pubic Charter Schools?' the ad in Tacoma's News Tribune read while missing an 'L' in a highly essential place.